It's summer bucket list time for us! One of the items on my kids' list was to finally visit Elitch Gardens in Denver and we received tickets as part of our partnership with USFamilyGuide, so it was a definite summer plan. Both kids wanted to try out the roller coasters especially! Elitch Gardens did not disappoint. It's a great little amusement park, tucked right in the middle of Denver. 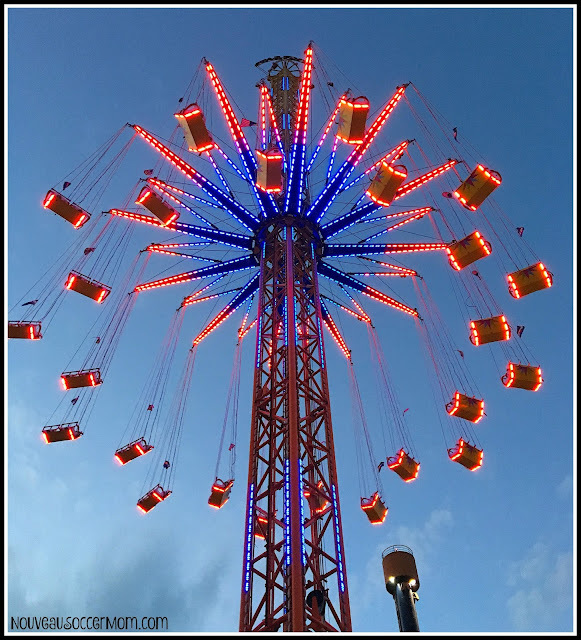 This year is Elitch Garden's 127th season and the park features 54 rides and attractions, including two new ones just for this year. From our house in the Springs, it was about an hour and a half drive, easy enough for a day trip. We got to the park near opening time and stayed till closing. Some of the rides needed to be ridden again at night, especially the Star Flyer with the gorgeous nighttime lights. Park admission includes the water park. Unfortunately, we picked a less-than-warm day to go, so we will have to try it next visit, but I love that both parks are included on the same ticket. Ghost Blasters! We probably rode this at least 10 times. From your cart, ride through a haunted house and blast the ghosts, while your cart keeps track of your score. We had several competitions while riding. VIP Rapid Ride Passes are the way to go! We received ours as part of our blog review and it allowed the kids to do everything they wanted to do and more. We were able to ride the Star Flyer and Ghost Blasters multiple times easily with the passes, along with the various coasters. 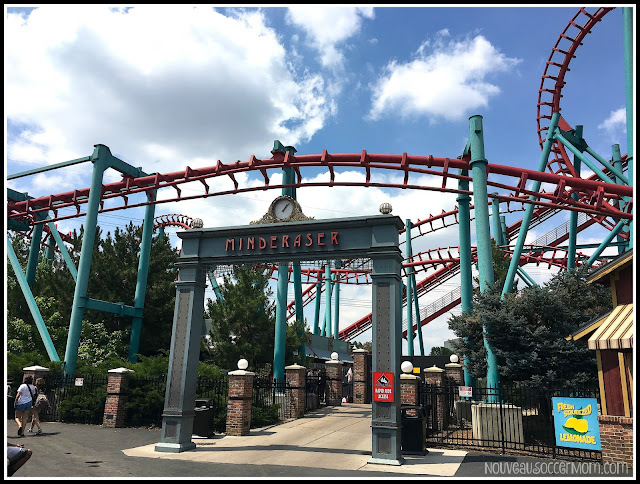 It also made it so much easier for my son to ride the Half Pipe and the Boomerang while we waited for him, since those two rides do not always agree with my head. 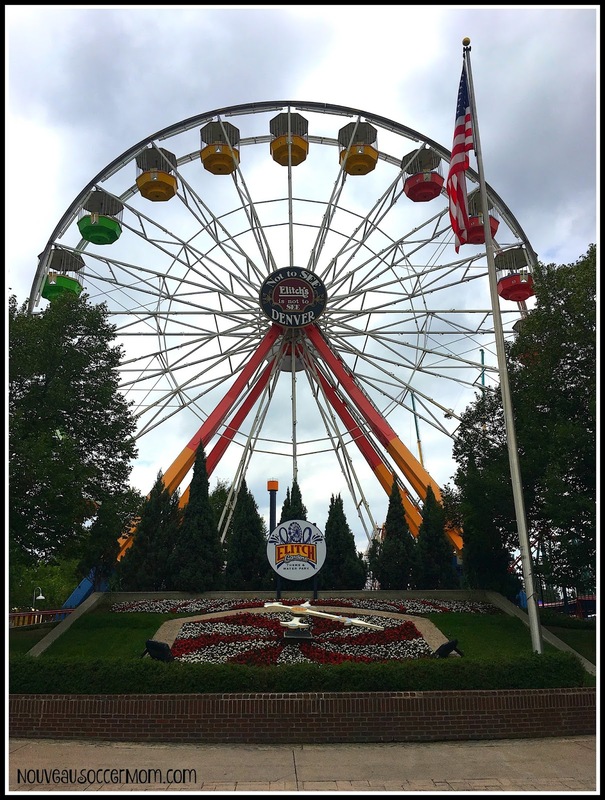 Elitch Gardens is open through October 29th this season and has plenty of fun for the whole family. Right now, my readers enjoy exclusive discount tickets for Elitch Gardens Theme and Water Parks. Visit http://www.elitchgardens.com/coloradokids/ for more details! Disclosure: This post was written as part of my affiliation with USFamilyGuide.com. My family received passes for Elitch Gardens for the purposes of this post. All opinions expressed are my own.